SPONSORED -- Got Cocoa? Got Snow? Try this for a tasty and unique fun-filled holiday experience! Seguin celebrates the holidays with their annual spirit-filled "Holiday Stroll" event! Beginning on the evening of Dec. 3, the Holiday Lights Parade fills the downtown streets with floats lit up with Christmas cheer, Santa, entertainment and the lighting of the town square. Then on Friday evening, Dec. 4, get your taste buds ready for the most unique recipes of cocoa you've ever sampled. Buy a beautiful arty mug designed by a local artist, then walk your way around the charming downtown square to each shop and taste their delicious varieties of homemade cocoa! It's a pleasure you don't want to miss, especially for you chocolate lovers! 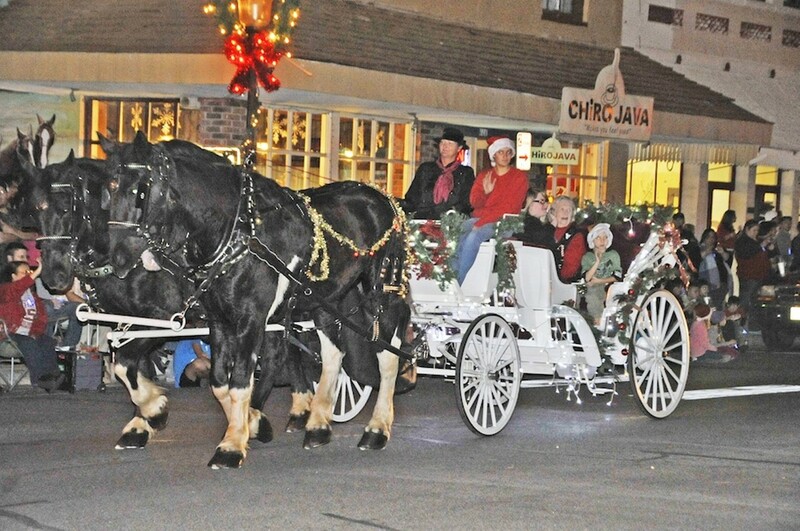 While strolling on the square, you'll enjoy live entertainment and horse and buggy rides, shopping the unique boutiques, and the children can visit with Santa. On Saturday, Dec. 5, bring the whole family to the North Pole Stroll to enjoy a fun-filled family experience with lots of kids' holiday activities like ornament-making, letters to Santa, photos with Santa and playing in real snow!